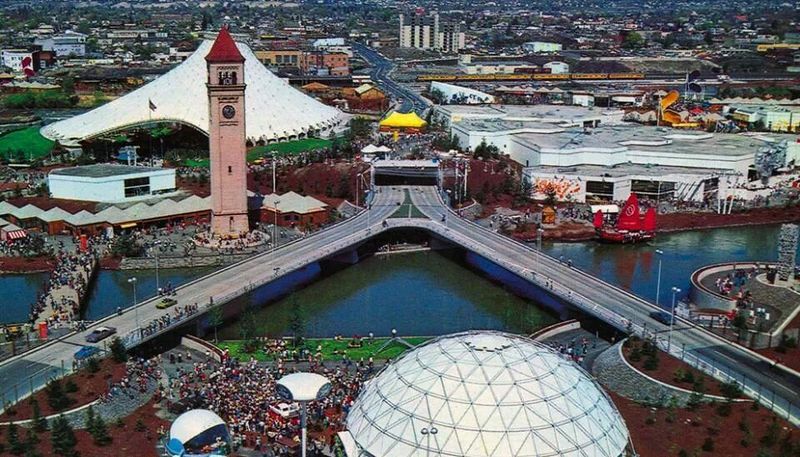 In 1974, a World's Fair helped Spokane remove unsightly railroads from its downtown riverfront and left Riverfront Park in its wake. 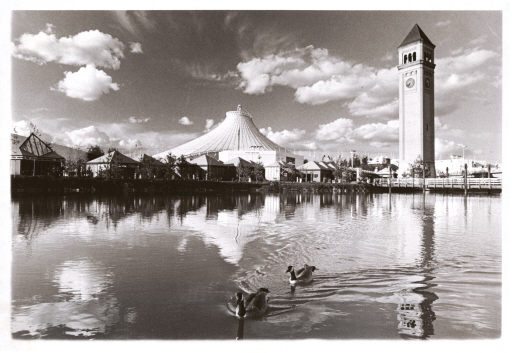 Spokane was the smallest city to ever host a World's Fair, so it took the hard work of countless individuals to make Expo a reality. First among them was King Cole, the father of Expo. Cole was given the name King because his father was convinced he was destined for great things. "This will open a lot of doors for you when you grow up" his father would say. Cole would later find out how right his father was. 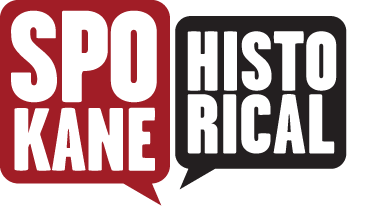 In 1963, Cole was working as an urban planner in San Leandro, California, when he was hired by a group of Spokane businessmen to help Spokane rejuvenate its downtown. 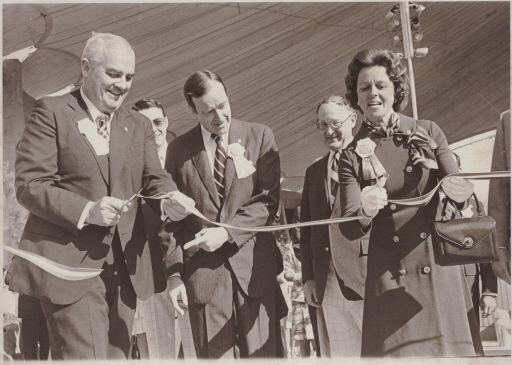 Cole was given the idea of hosting a World's Fair, the type of project that would generate federal and state funding. This was an ambitious and even unrealistic plan, and Cole would have to perform miracles to pull it off. King's wife, Jan, remembered that at first people just played along with King's Expo idea because they didn't want to offend him. "I don't think anybody believed the railroads would move... or that there would ever be a park there." King would prove the doubters wrong. In three years he traveled 700,000 miles gaining the necessary local, state and international support for the fair. He was able to negotiate with the Spokane Railroad companies, convincing them to turn their land over to the city free of charge. He was also involved in securing foreign exhibitors. By no means did Cole accomplish all of this on his own. There were many individuals whose sacrifices made the fair a possibility. But Cole was always seen as the driving force behind the project. "We have to give an awful lot of credit to a man who never said die" said Jane Johnson. "I'm not also trying to belittle nor to negate the efforts of the Expo Board because there were many, many people on the Board... who assisted in the negotiations but you've got to have a guy who has a dream and hold onto that idea and move in that direction... that was King." King Cole died in 2010 at the age of 88. The headline for his obituary in the Spokesman read, "Spokane loses visionary leader in King Cole." While King may no longer be with us, we will always have the park, and a beautiful view of the falls to remember him by. 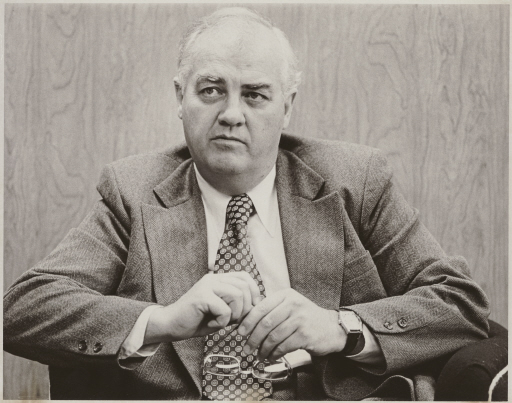 King Cole: A photo of King Cole in the 1970's. Northwest Museum of Arts and Culture. Unidentified Dignitaries with King Cole: King Cole was a busy man over the course of the World's Fair. 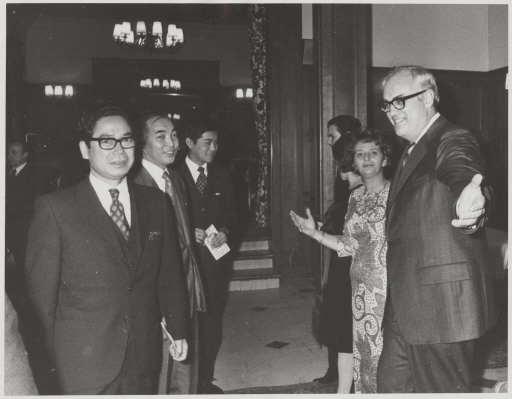 Here he is welcoming unidentified dignitaries. Northwest Museum of Arts and Culture. 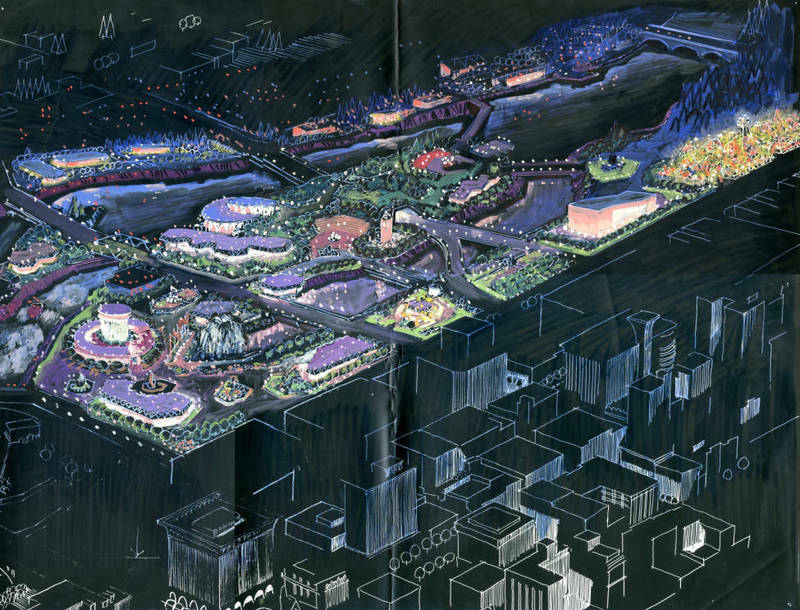 In this 1992 interview, King Cole describes why a city's downtown is crucial to its health from the perspective of a city planner. Cole, King. Interviewed by J. William T. Youngs. Book Interview, Spokane WA, 10-9-1992. In this 1992 interview, Cole recalls a story about what the falls were like before he arrived in Spokane. Cole, King. Interviewed by J. William T. Youngs. Book Interview, Spokane WA, 10-12-1992. Cory Carpenter, “The Father of the Fair,” Spokane Historical, accessed April 20, 2019, https://spokanehistorical.org/items/show/385. The Joel E. Ferris Research Library and Archives, Spokane. EWSHS Oral History-OH-221 The Joel E. Ferris Research Library and Archives, Spokane. EWSHS Oral History-OH-230. Nappi, Rebecca. The Spokesman Review. "Spokane loses visionary leader in King Cole" 21 December, 2010. Youngs, J. William T. The Fair and the Falls: Transforming an American Environment (Eastern Washington University Press, 1996).